Jan Traylen: Sailing By: Landscape photographs in B&W and colour. Portfolio: Landscape photographs in B&W and colour. 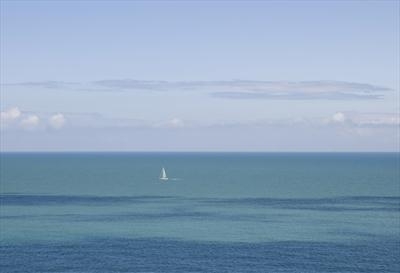 A perfect day for sailing a boat in The English Channel. The sky is blue and so is the sea. You are all alone, tranquil and at peace.